Urban living can often spell one thing: small spaces. While the hum and bustle of the city is on your doorstep, you don't have the luxury of a garden, and are confined to a small balcony, if even that. But if your outdoor space is Liliputian rather than expansive, that's no cause to despair—there are lots of ideas out there for how to make the most of the outdoor space that you do have. If you think vertically, rather than horizontally, making good use of walls and railings, and make your furniture as multi-purpose as possible, you'll be surprised by how much you can make out of even the tiniest space. 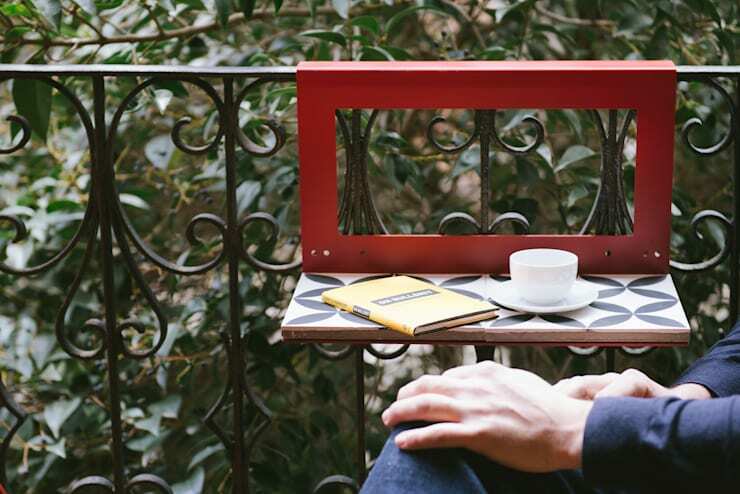 Originally designed for small Madrid's miniscule balconies, Manuela is a little table that will work on railings everywhere.With no legs, you just hook it onto the railing of your balcony when you need it, and take it off when you don't. The frame is made of folded steel, and the shelf can be made of treated wood or tile. Super cute, and super clever. 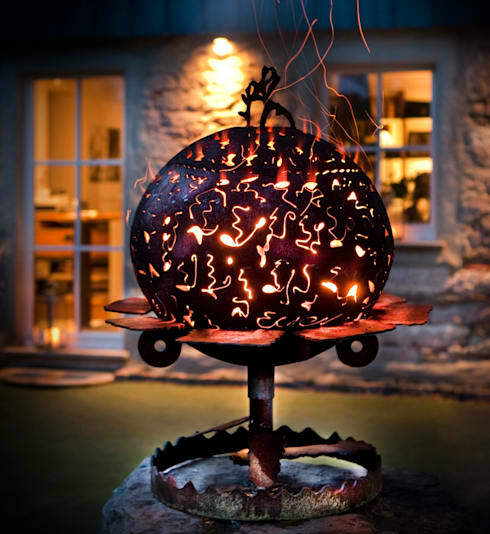 You're short on space, but you long for the warm light and cosiness of an outdoor brazier? 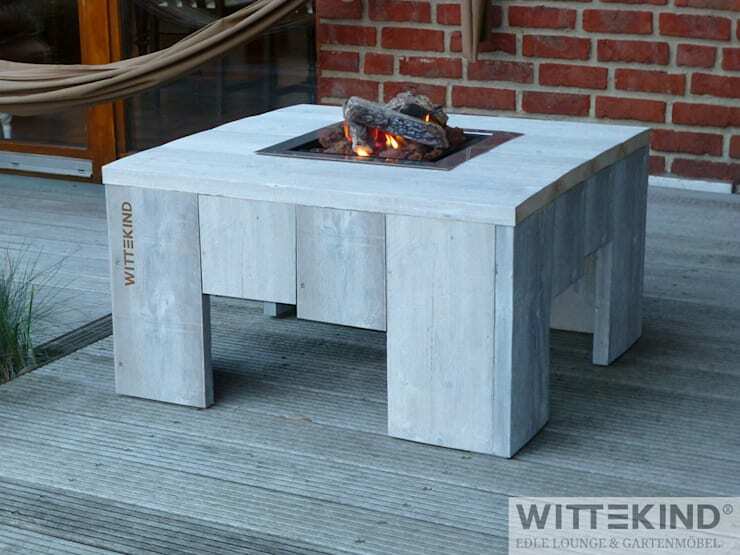 How about this outdoor lounge table with integrated fire pit? Powered by gas, the lounge table with the 'burning' lava rocks and artificial log is sure to delight. And if you ever want to use the table without the fire function, that's no problem—just place the lid on the fire bowl and create more table space. Who doesn't love a barbeque, but let's be honest—most barbeque grills aren't the prettiest things in the world. Why not combine decorative elegance with grilling capacity, as seen here? The shelf around the base can hold sausages, steaks, or whatever you fancy, while the heat from the fire cooks them. As a bonus, you get a lovely, variegated light from the cutouts in the metal core. 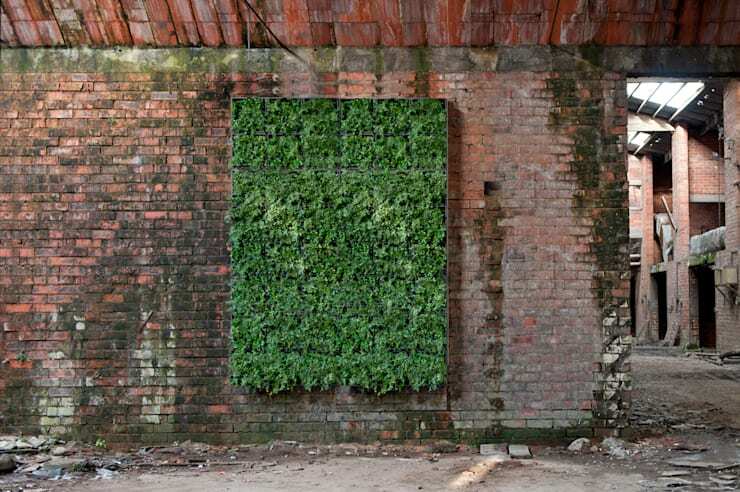 Greening walls indoors as well as outside on the balcony or in the garden is a major current decorating trend. And we're not talking about climbing plants like ivy or Virginia creeper, beautiful and all as they are. No, we're talking about growing a garden vertically, using a host of different plants. Growing plants in this way presents a number of challenges, but Greenbop has developed a system with their 'vertical garden' that will allow plants to consistently thrive. No matter how tight your outdoor space, you can still give your green fingers a workout. 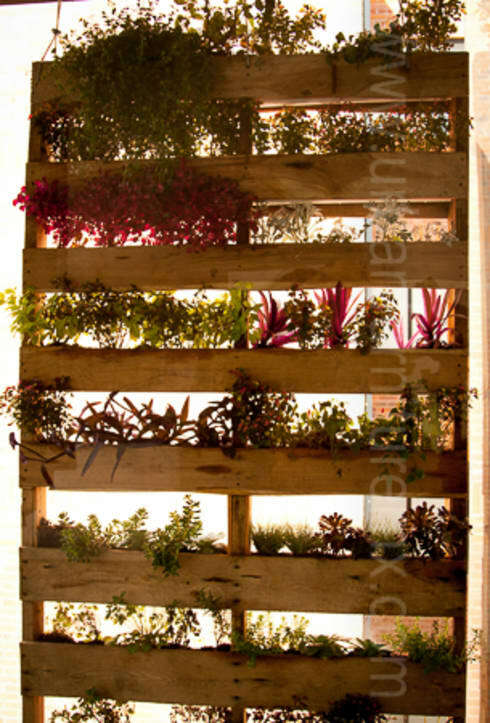 Another vertical garden idea—stacked planters. If you wished, you could replace your railings altogether with these cute wooden boxes, saving even more space. Perfect for a kitchen garden or a collection of small plants, and they have the added bonus of shielding you from prying eyes if you stack them high. 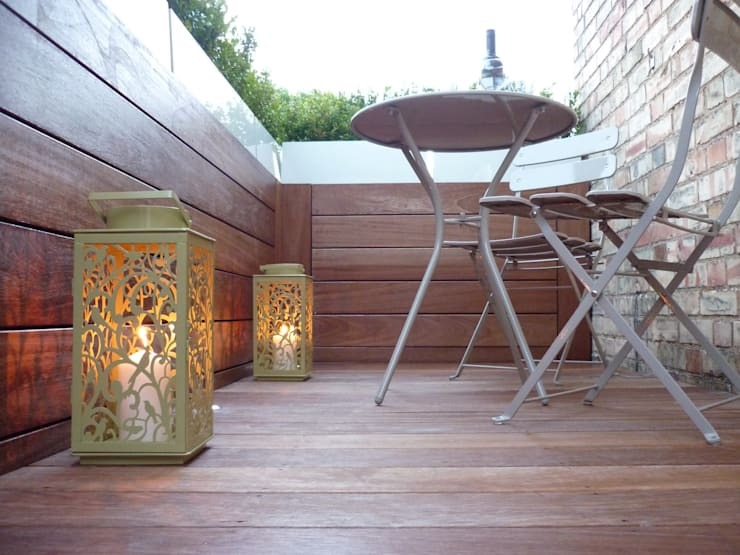 Often, a small urban balcony means a stark, cold metal railing and floor. To make the space more inviting, wood cladding is a great idea, for its rich and warm tones. Soft candlelight in pretty holders will add to the effect. 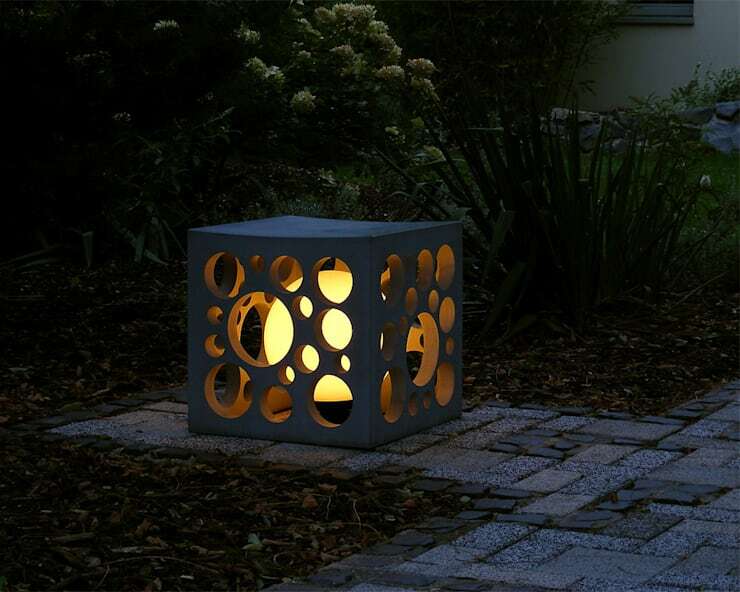 Not only does the 'Cheese light' look really cool, it's a great space saver, integrating light into an object that could function as a seat or a table, depending on the occasion. 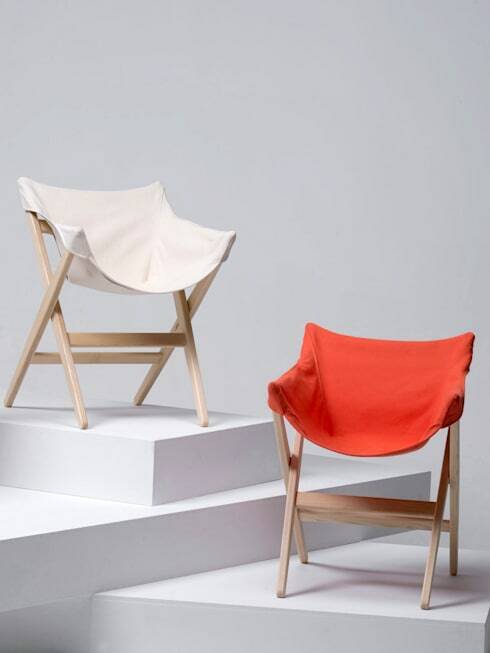 The fold-up chair is the classic space-saving choice for a small balcony. Stack them away when they're not needed, pull them out when they are. Give them a modern twist with this canvas and wood combo from mattiazzi. 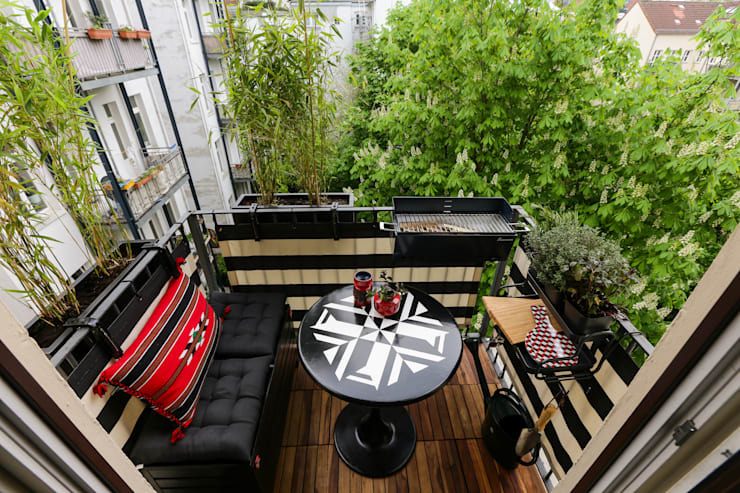 It's only two square metres, but this balcony looks much bigger thanks to this clever makeover by Die Balkongestalter. The railings are put to work hosting a barbeque, prep area and planters, and we can see the multi-functionalism principle in the prep area/herb planter combination to the right. The space has been softened with a wooden floor, and the cushioned bench is a cosy spot for two. Tall bamboo works the vertical axis, and draws the eye upwards, creating an impression of space.